A great location and prominent, attractive sign do not necessarily mean your car wash will have longevity. To turn a profit as a car wash owner or investor, you have to take into account a variety of small business strategies. Whether your business is struggling or you’re looking to grow, the five strategies listed below represent some essential keys to car wash business success. Unless your car wash is an express or self-serve wash, the caliber of your managers, sales representatives and detailers are among the most important keys to your success. Establishing a company vision, ensuring that core values are clearly understood and acted out by your employees and providing excellent leadership lies at the heart of successful companies, from small businesses to Fortune 500 enterprises. As in any small business, you can’t do it all. Depending on the size of your car wash, you may need anywhere from a handful to a dozen or more employees. However, recognizing that you’ll need help when it comes to managing your business, completing and filing paperwork, detailing cars and maintaining the wash tunnel equipment is necessary for running a successful operation. Find other car washes in your neighborhood similar to yours and pay them a visit. Once you identify your direct competition, compare some of their customers to your own. If they seem more successful, compare the quality and visibility of their signage to yours, do some research with local media outlets to see if they have invested in advertising and ask around to see what customers like about them. If you were running a barbershop or hair salon and you got your hair cut at a place with higher-quality services and products than your shop offered, chances are you’d likely make some adjustments to stay competitive. Visiting several car washes within a 3-5 mile radius from yours helps ensure that your equipment, employees and services are up to par. It also serves as a means to get ideas on ways to improve in each of those areas. 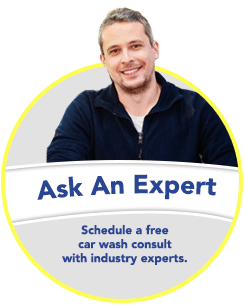 Speaking to the owner of a particularly well run, successful car wash, asking them for advice can be an eye-opening experience. It’s likely you will feel more comfortable speaking to other car wash owners outside your area, however. When committing to a supplier for chemicals or purchasing, replacing and maintaining equipment in the car wash tunnel, take into account both cost and quality. Buying in bulk can seem temptingly cost-effective, but some chemical materials may degrade in quality if not used in a timely fashion, and the cost of storing bulk usually outweighs any purchasing discount offered. Cutting corners by purchasing cheaper equipment may help reduce a startup deficit, but it may not produce a high-quality wash. Lower quality could mean the loss of repeat customers and lower profits. Taking the cheap way out may wind up costing more in the end, so researching cost vs. quality for every product, part or machine in your business is a primary key to longevity and success. 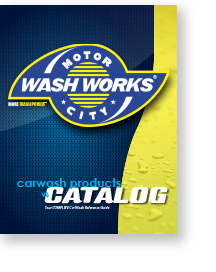 At Motor City, we’re all car wash guys who have run our own successful businesses, so we know what it takes and we’re happy to help you with seasoned, practical advice. Give us a call at 866-362-6377 or use our convenient Ask an Expert feature and send us your biggest question. Discover 10 ways to increase your car wash net profits.